The South Ossetians of Georgia have been in conflict with the Georgian government since just before the dissolution of the Soviet Union in the early 1990’s. Between 1918 and 1920, the first overtures to South Ossetian independence were made during a series of Ossetian rebellions against the first Georgian Republic. Once Georgia came under Soviet rule in 1923, and for the remainder of Soviet rule, there was peace between the two groups. 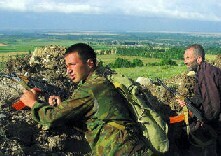 Major violent conflict erupted again, however, between Ossetian separatist guerillas and Georgian troops in the early 1990’s, and then once more in 2004. The basic domestic and international issues surrounding the conflict are the South Ossetians' claims of unequal treatment under Georgian rule and subsequent demands for cultural, social, economic and political protections as a minority group, Russia’s desire to punish Georgia for its increasingly pro-Western political orientation, and outside concerns about the stability and accessibility of the Baku-Tbilisi-Ceyhan pipeline running partly through Georgia. However, at the conflict’s most basic level, it is a conflict over land and territory. Georgia wants to maintain its territorial integrity and thus prevent the region of South Ossetia from seceding, while South Ossetia wants to either establish independence or join with North Ossetia and come under Russian rule. In essence, my research will consider the history of relations between the Georgians, Russians and Ossetians, the ethnic/cultural differences, the current interests/motivations of all sides, and the prospects for settling the dispute over the land. Under Soviet rule, there was little conflict between the two groups as everything was administered for both of them from one central authority in Moscow. However, as the Soviet Union began to rapidly decline in the late 1980’s, Georgian nationalism swelled and made the Ossetians living under the Georgian jurisdiction very nervous. Therefore, when the Georgians refused to recognize or allow South Ossetia to unite with North Ossetia and join Russia proper in 1989, violence began to simmer and eventually broke out in 1991, when thousands of Georgian troops marched on Tskhinvali and many Ossetian villages and Georgian homes were attacked by each opposing side. 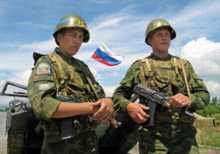 The fighting escalated in the spring of 1992, which included some Russian involvement in the conflict as well. A ceasefire was negotiated in 1992 between then Russian President Boris Yeltsin and then Georgian President Eduard Shevardnadze and a Joint Control Commission was established as a peacekeeping force comprised of Russian, Georgian, and Ossetian troops. At the conclusion of the fighting in 1992, it is estimated there were 1,000 wartime casualties, 100 missing persons, and an innumerable amount of damaged or destroyed homes and infrastructure. (10) However, in 2004, violence began once again when Georgia tried to clamp down on Russian activity in South Ossetia. 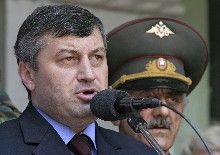 In July 2004, the Russian Duma passed a resolution proclaiming its support of the South Ossetians in the conflict with Georgia. The Ossetians are spread across several countries including Russia, Georgia, Azerbaijan, Turkey and others. However, the home base is Ossetia itself which is also divided between countries; the north in Russia and the south in Georgia. The goal of the South Ossetian separatists is to either gain its independence or unite with North Ossetia, which lies in Russia. After the break-up of the Soviet Union and the creation of the new independent state of Georgia, the South Ossetians have felt oppressed and threatened by Georgian domestic policies. For example, Georgian was made the official administrative language throughout the state, but the Ossetians wanted their own language to be official in the South Ossetia region. The conflict began with the fall of the Soviet Union in the early 1990's, when the South Ossetians saw the dismantling of the Soviet Empire as an opportunity to establish their independence from Georgia. In 1991, violent conflict broke out between Georgian and South Ossetian forces resulting in hundreds of thousands being killed, displaced, or injured on both sides. In 1992 a peace deal was struck with the aid of Russia and a peacekeeping force comprised of Russian, Georgian, North and South Ossetians was formed to maintain peace among the population groups. The peace was relatively stable and lasted until 2004, when violent conflict again broke out as a result of the Georgian government's attempt to close down the significant black market trade going on between South Ossetia and Russia. The violence has again subsided, however the conflict is far from solved. This is a map of the different environmental issues facing Georgia. The conflict between Georgia and the ethnic Ossetians is a dispute over territory, as the South Ossetians want to break away from Georgia, but Georgia wants to keep South Ossetia under its rule. However, there is more to the story than just territory and ethnic divisions. The environmental aspects of the dispute are also an important part of the picture. According to a Pro-Natura Proposal, “The long-lasting conflict in South Ossetia has had a significant impact on the environment, including the degradation, depletion and mismanagement of natural resources.”(11) In addition, the territory of South Ossetia, located in north central Georgia, holds two of the four major border crossings among the mountains separating Russia and Georgia and has several of Georgia’s important roadways running through it from east to west and north to south. Retaining control over such roadways and border crossings is important for Georgia as they aid both inter and intra-state movement of people and goods. In addition, two important oil pipelines, the Baku-Tbilisi-Ceyhan and Baku-Supsa (see map), run through Georgia on their way to Black Sea ports. Separatist movements, such as the South Ossetian movement, pose security threats to the pipelines and the flow of energy sources. (16) So not only is the environmental aspect important in terms of pollution and degradation, but also in geo-political strategic terms as well. Conflict with South Ossetia and also Abkhazia, make it very difficult for Georgia, or anyone else, to address environmental issues and establishing peace with conflict areas like South Ossetia may be nearly impossible without considering the environmental factors involved. For example, a 2004 report by the United Nations Environment Programme says, “Environmental degradation and the use of natural resources are identified as factors that could deepen contention in areas of existing conflicts as in Abkhazia, South Ossetia…”. (12) Acquiring accurate data about the environmental situation in South Ossetia is very difficult, which is a problem in of itself, however problems such as the exploitation of natural resources and soil contamination are known to exist in South Ossetia. Unfortunately, many environmental challenges were also inherited by Georgia after the collapse of the Soviet Union, such as hazardous waste dumps, aging nuclear sites, etc. For example, there is an old Soviet “industrial complex” in northwest South Ossetia that is categorized as “still generating pollution” and a nuclear waste site in the south part of the territory, also leftover from the days of Soviet rule. Again, with the territory in conflict, these environmental hazards are not being properly secured, monitored, or cleaned up. This is obviously a major risk to the local population as water supplies and arable land can be severely damaged by pollution from these sites. A decrease in access to clean water and arable land could only worsen the conflict, as a fight for control of these resources could inflame the fighting. Deforestation has also become a problem in South Ossetia as a result of the conflict. Areas on the eastern and western edges of South Ossetia have experienced significant loss of forests and as the area is now without the state’s control, it is hard to both monitor and assess the situation. However, according to the UNEP report, the deforestation can be attributed to an energy crisis in rural areas and, “Incentives for illegal exports of valuable timber and endemic tree species from the conflict areas of Georgia…". (12) Overgrazing of pasture lands in the northern part of South Ossetia has also become a problem. South Ossetia is somewhat isolated with a weak economy that relies mainly on smuggling goods across the border with Russia. In 2004, the Georgian government began to crackdown hard on the smuggling and black-market activities in South Ossetia, which drove monthly earnings even lower than they already were. (13) Therefore, the economic plight of South Ossetia most definitely contributes to the degradation of the environment and to deforestation in particular. The natural environment of Georgia and in particular, South Ossetia is mountainous with a temperate climate. The conflict between the region of South Ossetia and Georgia is civil in nature. The fighting has taken place in Georgia between different factions of the population and not between two separate states. June 8, 1992 is the date when the conflict officially reached the 25 mark for military casualties, but in reality, the fighting between 1991 and 1992 led to over 1,000 civilian and military deaths. During the violence in 2004, at least 22 people died as a result of the armed conflict. When looking at the numbers for displaced peoples, the numbers are significantly higher than actual casualties. For example, from the US Library of Congress country study on Georgia, it says, “The resulting conflict lasted throughout 1991, causing thousands of casualties and creating tens of thousands of refugees on both sides of the Georgian-Russian border.”(15) The exact numbers for casualties are a bit hard to find, especially related to civilians. However, it is certain thousands of deaths have occurred during the particularly violent periods in the early 1990’s and in 2004, but for now the violence, but not the threat of violence has subsided. 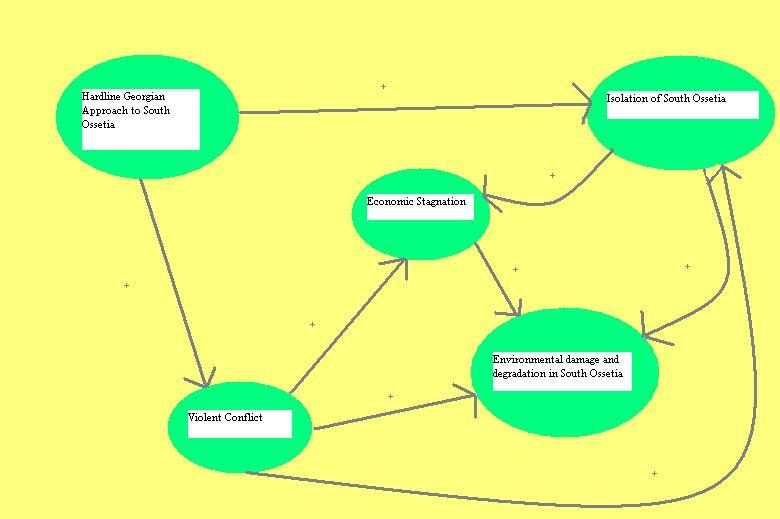 Above is a causal diagram showing the links between conflict, the environment, economy and political situation in Georgia/South Ossetia. The relationship between conflict and environment in the case of Georgia-South Ossetia dispute is indirect. The conflict is over control of the region of South Ossetia, but has more to do with ethnic tensions and political gain than environmental resources. However, the conflict has had a negative impact on the environment with issues of deforestation, soil degradation, and pollution from unmanaged hazardous waste sites becoming a problem throughout Georgia and the South Ossetia region in particular. 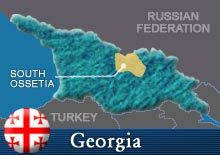 The conflict between Georgia and South Ossetia is state v. sub-state. South Ossetia is a region in the north of Georgia, which is trying to either establish its independence or secede from Georgia and join Russia. Therefore, the conflict is within one state; Georgia. Currently the Georgia-South Ossetia conflict is a stalemate. The South Ossetians still desire to breakaway from Georgia and establish their own state, and likewise, Georgia still wants to retain its territorial integrity and keep the region of South Ossetia as a part of the state. Violence first erupted in 1991 and then again in 2004, and although the situation is not violent at the moment, the threat of violent conflict remains. The Nagorno-Karabakh case pertains to the current territorial dispute between Azerbaijan and Armenia over the region of Nagorno-Karabakh. Both countries claim the territory, however the population is mostly composed of ethnic Armenians. Like the conflict between the Georgians and South Ossetians, this too erupted just after the break up of the Soviet Union. The Kashmir case deals with the disputed region in northern India, which both India and Pakistan claim as their own. Violence has occurred there and is related to the South Ossetian case as it is a territorial conflict. The conflict in Chechnya is also an ethnic/territorial conflict taking place in the Caucasus. Kirkuk is a city in northern Iraq. This conflict also deals with ethnic divides and claims on territory.